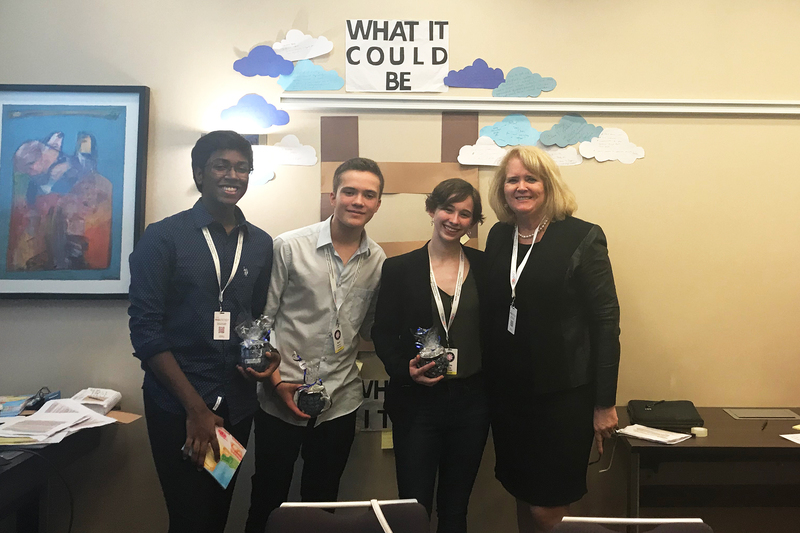 In October, Our Global Issues Network students met with the Director of CEESA, Kathy Stetson, to share an idea: what if CEESA students collaborated on service projects? Ms. Stetson was so impressed by the students that she invited them to present at the annual CEESA educators’ conference. 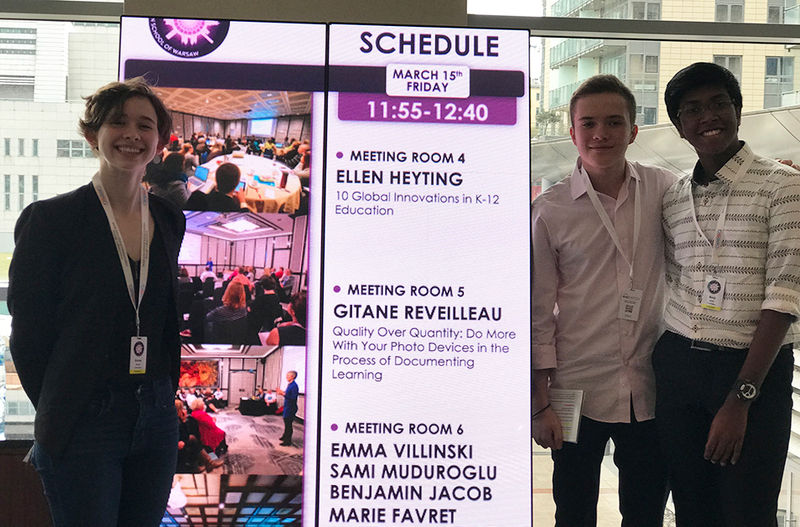 Our students, Emma Villinski, Benji Jacob, and Sami Muduroglu, were the first and only students to present to CEESA teachers and administrators. 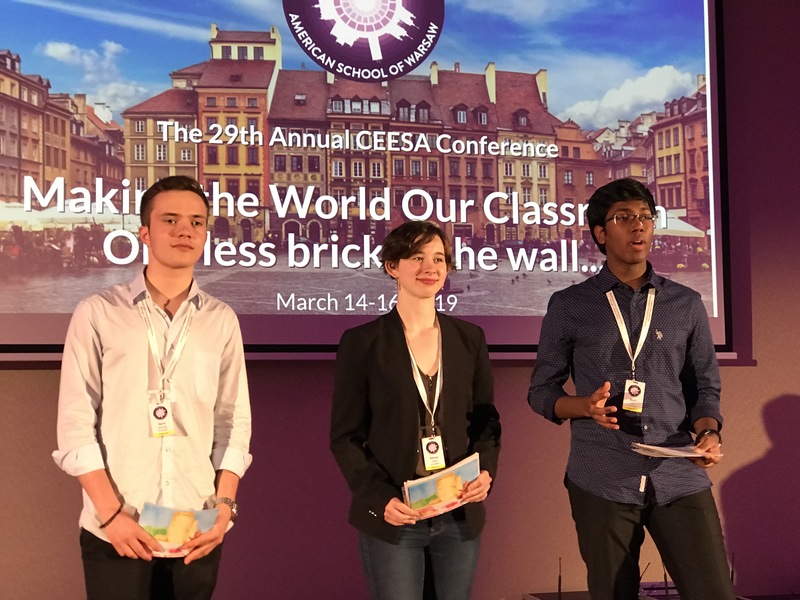 Their message: Let’s use the existing CEESA framework of events to empower students to connect and collaborate for a better world. 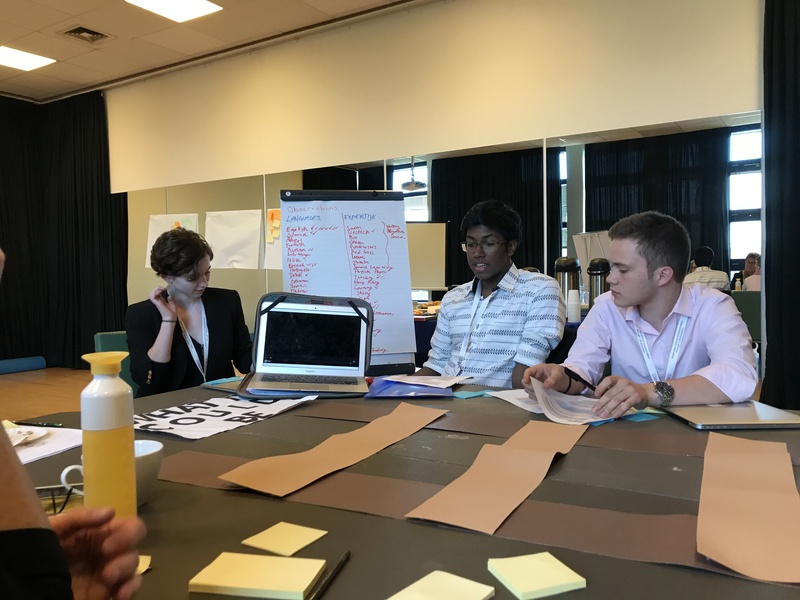 The students shared this idea with CEESA Athletics directors and Service Coordinators, running workshops for teachers and presenting on the conference main stage. Everyone was so welcoming and wanted us to succeed in connecting CEESA students "
It has been a great first day at CEESA. We started the day with a meeting with Linda Sills, the Executive Director of the Global Issues network. Mrs Sills was very impressed with our students and we have arranged a Skype meeting with her and GIN international for after Novruz. After this meeting, the students were taken to the Hilton to present to the Athletic Directors. It was really inspiring to interact with people who believed in our message. 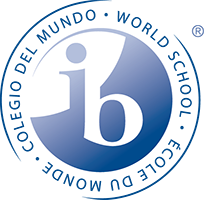 We are looking forward to actually making an impact by connecting to these schools"
They did a great job, and as Mr. Maytham said, we are proud of them. In fact, the service and athletics director from Budapest stopped them to say how impressed he was with their talk and also to share that his MS speech and debate students returned from the TISA tournament eager to initiate GIN’s ideas into their own CEESA MUN conference-so their idea is already taking off! They ended the day by running a workshop for the CEESA Service Learning Coordinators, which was inspiring and practical. It was so motivating to see how our ideas have already been made into action in our schools, like AIS Budapest."